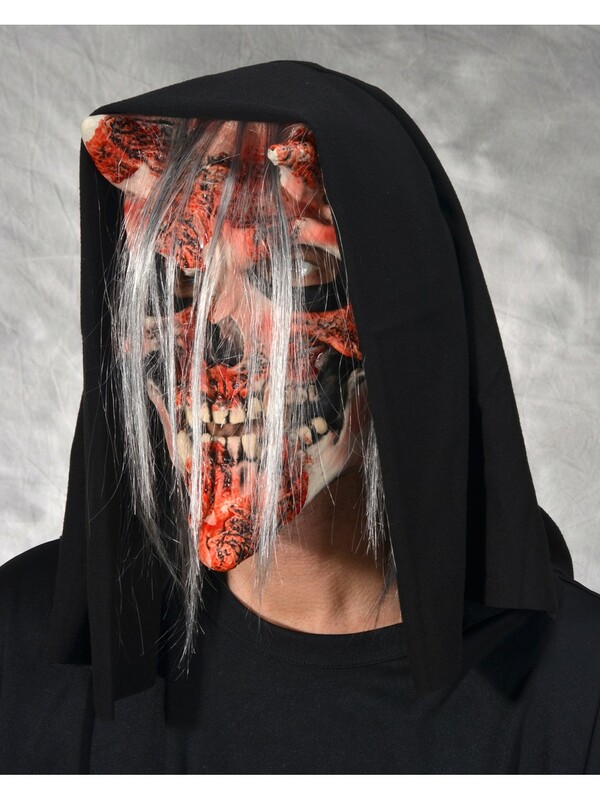 Arrive to your party wearing this Whisper Mask and people will think you're a demon sent to punish them for their sins. 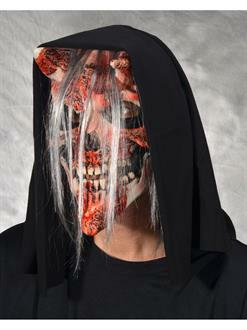 This gory hooded mask is designed with horns and hair attached. The carved latex bones and teeth are covered in horrific red blood to shock and scare your friends.